Machined bolt pens have gained plenty of fans in recent times, with their durable build and satisfying clicking action. If you want a pen that can last you years, they’re the way to go. The EDC Pocket Bolt Pen takes all of those good things and makes it even better, integrating additional elements that step it up in everyday utility. 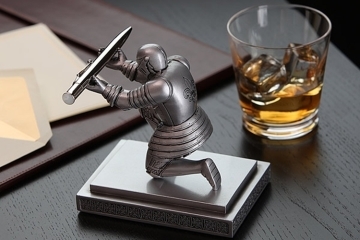 Made by Blank Forces, it’s a machined bolt pen that ditches the usual size and heft of pens in the category, measuring just 4 inches long and weighing a mere ounce. That makes it just as convenient to carry as any pen you can grab off a store counter, all while bringing the durability and refined aesthetics of machined metal pen bodies. Ever had your bolt pens deploy in your pocket, leaving an annoying amount of ink inside? That won’t be a problem with the EDC Pocket Bolt, which comes with an auto-locking mechanism that engages every time the pen retracts, requiring you to slide a lock before enabling the bolt action. It comes in two body types, round and hex, with the former sporting the traditional smooth body and the latter rocking a faceted frame for better grip, as well as options for a brass or stainless steel finish. 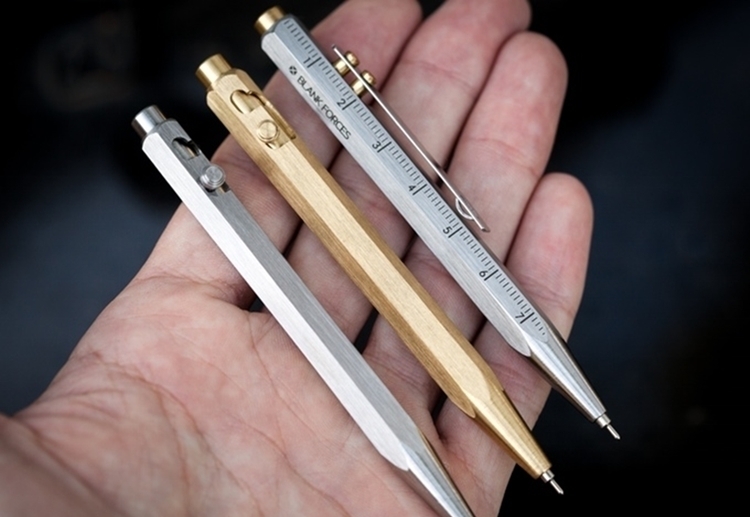 All variants of the pen can be ordered with either a clip (for clipping onto edges of pockets and notebooks) or an O-ring that lets you hang it onto a keychain or a carabiner, with the hex also coming in a version sporting ruler markings. 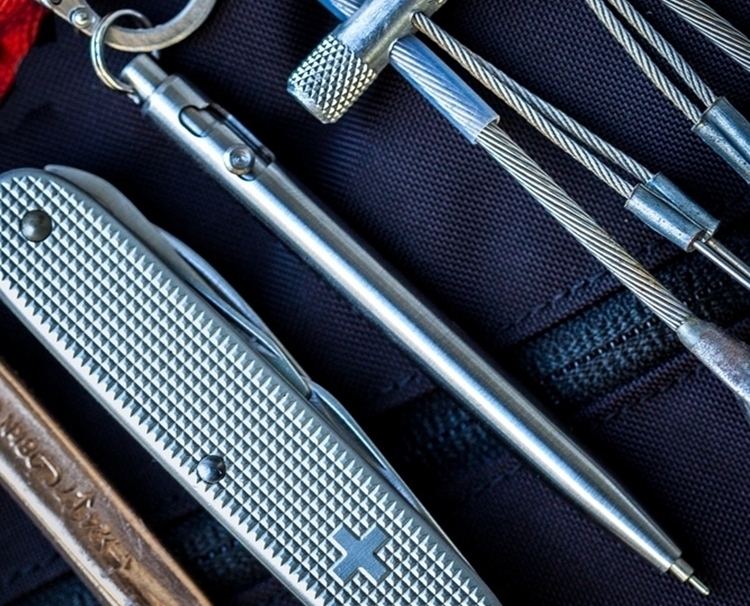 A Kickstarter campaign is currently running for the EDC Pocket Bolt. Pledges to reserve a unit starts at $44. The only thing I don’t like about the EDC Pocket Bolt Pen is that I will more than likely lose it. This looks incredible. Unlike many Kickstarter’s, this one WILL be successful. These guys already have a proven track record with another successful Kickstarter for a different style pen. 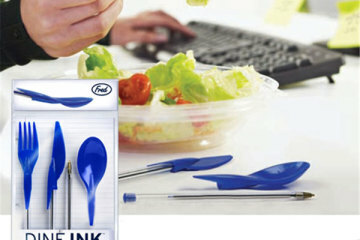 If you chew on your pens then you will rapidly stop that bad habit if you order one of these. 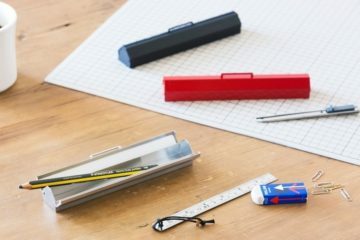 This rugged pen would be great for anyone from construction foreman to high school kids. 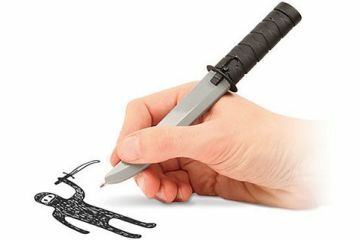 The auto-locking of the pen is a great feature. I despise it when I have a pen pop open when it’s in my bag or pocket. The brass and steel versions are both going to be able to stand up to get tossed around in your bag. 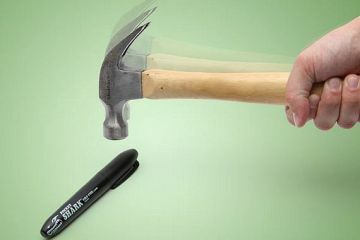 No need to worry about the weight of all your books busting the pen. 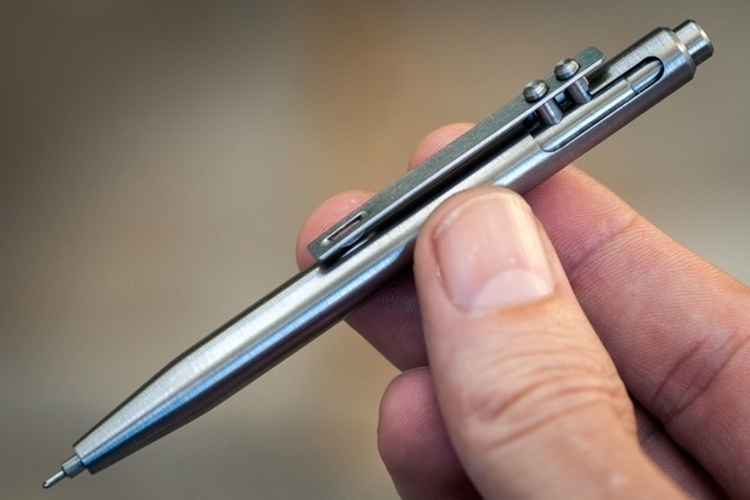 This pen is designed to make it easy to carry and use. 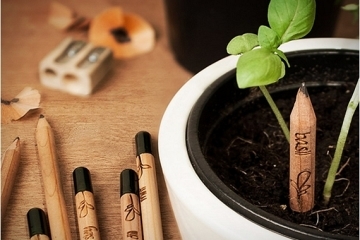 This is a huge step-up in quality from the disposable plastic BIC pens that many offices use. I’m going to order one of these up in the brass. The brass one looks the best and when I pulled out the pen and contract, it would make a conversational piece. If a client is at ease with you then they are more likely to hire your services. I can seriously see this pen helping e land a few more clients than I normally would.